While many Aussies will be sipping champagne with their eyes glued to a television tomorrow, their credit cards will be nowhere in sight, according to research from Commonwealth Bank. Commonwealth Bank (CBA) research shows that in the minutes before the start of the Melbourne Cup at 2:55pm and the horses crossing the finish line at 3:05pm, Aussies spend 42 per cent less. 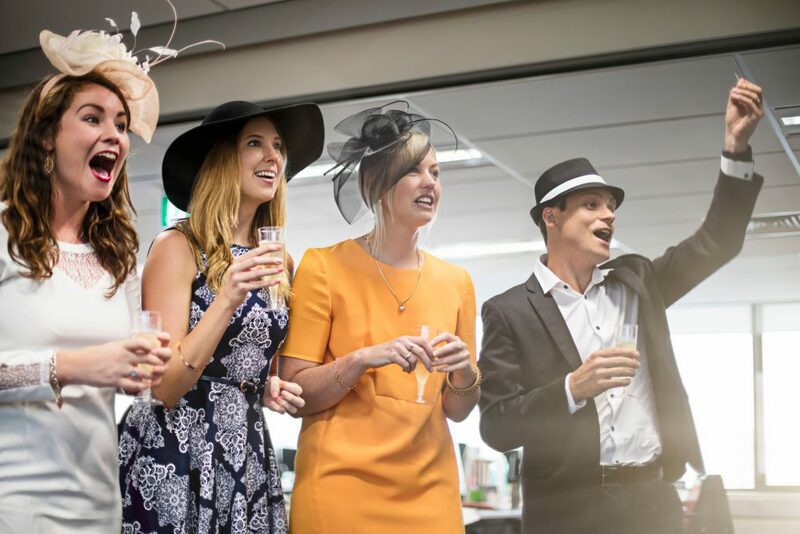 While our spending drops off in this time frame, CBA research has also found that as each year passes we’re spending more and more on the Melbourne Cup. Spending has increased approximately 62 per cent between 2015 and 2017. “Restaurants the race day winner – the customary Melbourne Cup lunch continues to be the way Aussies prefer to celebrate, with over $32 million spent on restaurants and dining out in 2017. This was an increase of around 23 per cent compared to 2016. Transport spending another safe bet – the other winner on the day is transport, such as taxis and private cars, which saw an increase of approximately 36 per cent in spending compared to 2016. Rohan Ritchie, General Manager at CBA, said Melbourne Cup was unlike any other day. “We don’t usually see events that halt our customers’ spending like Melbourne Cup. We see such a steep decline when that race starts, but it’s short lived as spending rebounds in the evening when Melbourne Cup celebrations continue. “We also saw that spending on debit cards outweighed spending on credit cards. This suggests that perhaps Australians are becoming more conscious about their spending habits. “It’s always nice to have some fun on days like the Melbourne Cup, but if we’re not careful the day can really add up. That’s why we recommend taking some easy steps to ensure you keep track of your spending,” said Mr Ritchie. “Set your limit: if you’re using your card to pay, set a realistic daily spend limit. It can be hard to tally up what you’ve spent, but if you impose a limit ahead of time, you can rest assured you won’t be able to blow the budget. Customers can easily do this for their credit and debit cards using our ‘Lock, Block, Limit’ feature in the Commbank app or on Netbank. Activate your transactions notifications: if you don’t have your notifications turned on, we’d recommend activating them. It will help you keep track of your spending throughout the day, which is especially useful if you use different cards. You can easily do this online or using the Commbank app.